The Centre for Ophthalmology and Vision Sciences encompasses ophthalmology and vision and audiology and deafness research. These groups are linked through a shared ambition to provide more effective treatments and preventive strategies for sensory deficits. 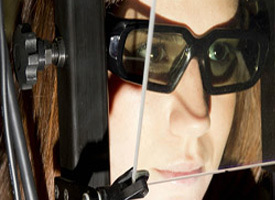 Our research encompasses ophthalmology/vision sciences and audiology/deafness/hearing sciences. Both groupings engage in internationally competitive research and hold substantial MRC funding.